It has long been speculated that Mattress Firm, the US mattress retailing giant, was in a solvency crisis, largely as a result of an aggressive expansion strategy in recent years coupled with the spectacular collapse of its parent, Steinhoff International Holdings NV following an accounting scandal in late 2017 and has been struggling to restructure the debt of some subsidiaries with its creditors. Now, according to Reuters, Mattress Firm, the largest U.S. mattress retailer, is planning to file for bankruptcy as soon as this week as the firm struggles to exit costly store leases and shut some of its 3,000 locations that are losing money. Previously, Reuters reported that both the Houston-headquartered Mattress Firm and Steinhoff had been working with distressed turnaround consultancy AlixPartners, which is often hired just ahead of a bankruptcy filing. As part of the standard bankruptcy process, once Mattress Firm files for bankruptcy, the process is expected to be completed within a couple of months, and Mattress Firm’s vendors are expected to be repaid in full, with creditors most likely taking over the company. As part of the process, Mattress Firm would shed many of its stores in the process. Mattress Firm’s South African parent company, Steinhoff International Holdings NV, acquired Mattress Firm for $3.8 billion in 2016. Mattress Firm had acquired HMK Mattress Holdings LLC, the parent company of competitor Sleepy’s, the same year for $780 million and then rebranded the shops. It then set off on an aggressive store expansion, which prompted questions from market participants if the company was cannibalizing its own sales just to represent growth. Steinhoff is a retail conglomerate that sells furniture, household goods and general merchandise in Europe, Africa and Australia, and it has automotive dealerships in South Africa. In July, creditors agreed to hold debt claims for three years, removing a threat of default according to Reuters. 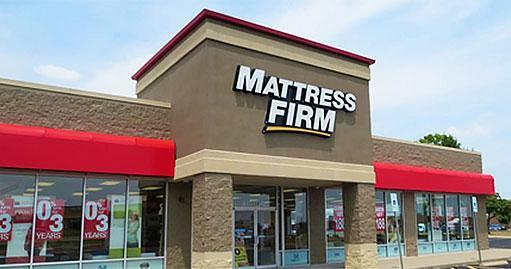 A bankruptcy filing, while resulting in numerous store closures, would allow Mattress Firm to clean up its real estate portfolio and improve cash flow and profitability, according to Piper Jaffray analysts. In recent Chapter 11 cases, discount footwear retailer Payless ShoeSource closed roughly 700 mall-based stores in bankruptcy last year, while children’s clothing shop Gymboree Corp closed about 300.